Provide comfort for the family of James Dover with a meaningful gesture of sympathy. Mr. James Louis Dover, 61, of Cartersville, died on Thursday, January 17, 2019 at Cartersville Medical Center. 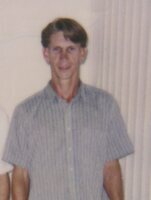 Born in Cartersville on July 1, 1957, he was the son of the late Charlie Dover and Lula T. Blackmon Long Dover. James was employed in Maintenance for 20+ years by Autumn Breeze Healthcare in Marietta. In addition to his parents, he is preceded in death by his two sisters, Brenda Hensley, Mary Riseden; three brothers, Marvin Dover, Teddy Dover, Jackie Dover; his significant other, Mary Ann Miller. Survivors include his son, David Shook, Sr. (Christy), of Cartersville; his sister, Virginia Channell, of Cartersville, his brother, Charles “Buddy” Dover, of Cartersville; his sister-in-law, Juanita Dover, of Cartersville; his brothers-in-law, Marion “Pee Wee” Hensley, of Aragon, Ricky Riseden of Cartersville; 6 grandchildren, 4 great-grandchildren, several nieces, nephews and cousins. A reception to celebrate James Dover’s life will be at 2 p.m. on Saturday Feb 2, 2019 at Atco Baptist Church, located at 20 Parmenter Street, Cartersville, Ga 30120, in the Fellowship Hall. The event will be a casual gather (come as you are) for friends and family. Parnick Jennings Funeral Home and Cremation Services is honored to serve the family of James Louis Dover; please visit www.parnickjenningsfuneral.com to share memories or to leave a condolence message. To send flowers in memory of James Louis Dover, please visit our Heartfelt Sympathies Store. Fellowship Hall. Casual gather (come as you are). In lieu of flowers, please donate to the American Cancer Society.